Salzburg — home of Austria’s greatest achievements. From its city history, musical culture, all the way to the splendour of baroque streets set against the beautiful mountainside, the city of Salzburg has every reason to be part of the UNESCO World Heritage List. As one of the most beautiful Baroque cities in the world, Salzburg goes by many names: Rome of the North, The City of Mozart, and The City of Churches. But what draws the most attention to this beautiful European destination year ‘round is the cinematic backdrops we’ve seen in the classical movie, The Sound of Music. Aside from Salzburg, you can explore more beautiful destinations in Austria and beyond with this 7D6N Tour Package. It will cover daily buffet breakfast, city tours in Vienna, Salzburg and Munich, excursions to Hallstatt, Kitzsteinhorn (top of Salzburg) and Swarovski Crystal Worlds, and many more! The tours, backstories, and iconic music are all worth the visit, even if you’re travelling from as far as Southeast Asia. This, along with Salzburg’s architecture, landscapes, and festivities, is one of the best experiences in Europe today. Though it’s a far-flung destination from Asia, you’re going to find so many things to love. So, to show exactly what Salzburg has in store for you, we’re taking a cue from Julie Andrews herself — these are a few of our favourite things! 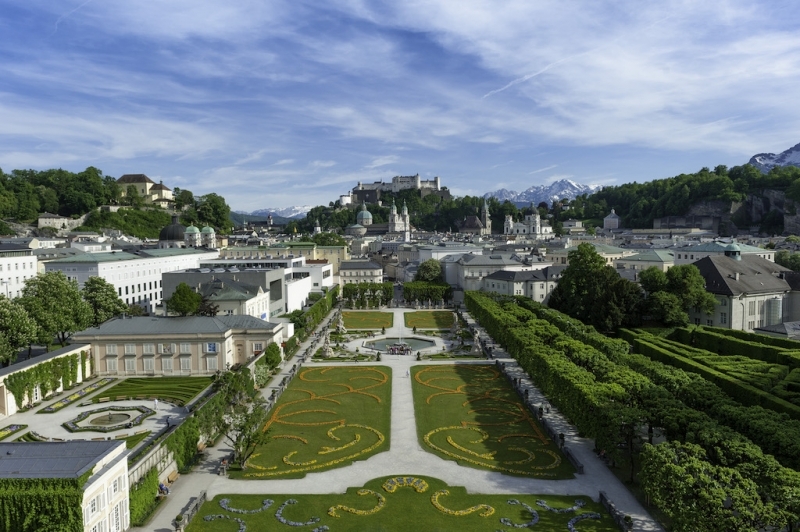 Having won five Oscars and as the most successful musical adaption of all time, it’s no surprise that every year, approximately 300,000 tourists flock to Salzburg to join The Sound of Music tours. The guided bus tours give everyone access to the movie’s filming locations and educate you on real-life events of the actual von Trapp family. The tours will take you to see historical landmarks included in the film such as the Palace of Leopoldskron, one of the two von Trapp mansions in the movie, Hellbrunn Palace, where Liesl’s famous gazebo scene took place, and the basilica of Mondsee where the von Trapp wedding was shot. 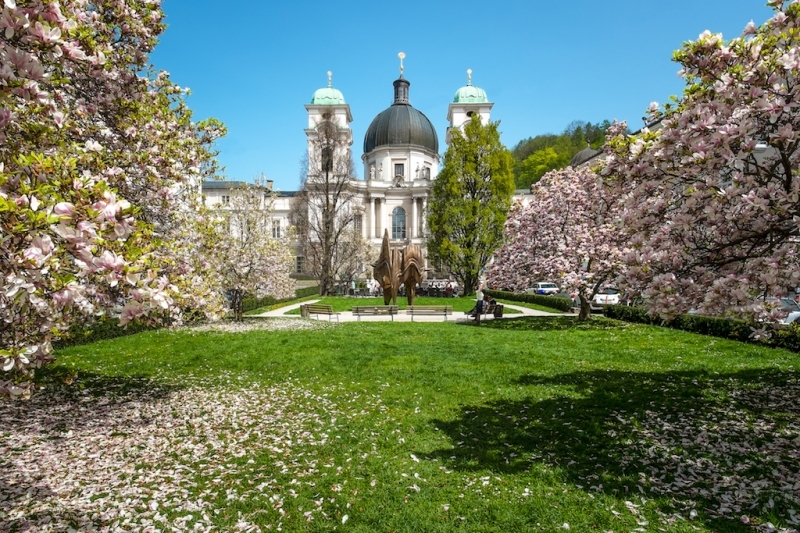 Of course, tours like these already include brief city tours where you’ll learn more of Salzburg’s culture and history, and how it connects to the story of the von Trapps. A more fun way of exploring the filming locations of the movie is to go on bicycle tours where you’re closer to the streets and corners that buses can’t reach. This is perfect for people who have an active lifestyle as bicycle tours last approximately three and a half hours, enough for your daily exercise while invigorating your soul with Salzburg’s breathtaking and cinematic sceneries. 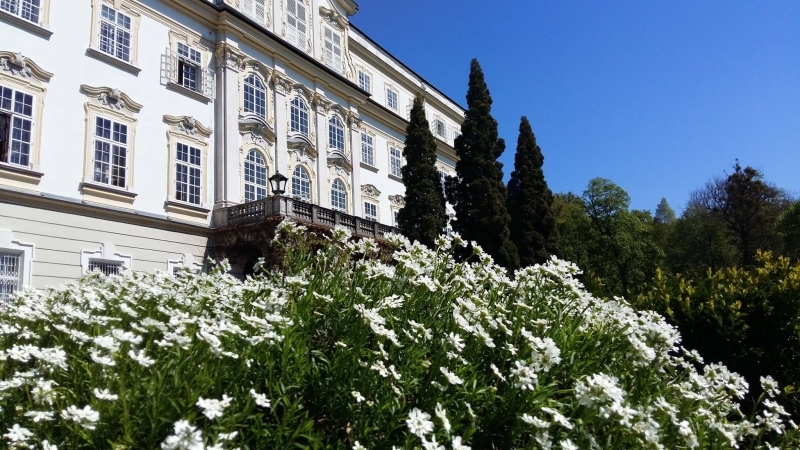 From April to October at 9.30am, and from June to August at 4.30pm, tourists can join a cycling group with a route that will take them to Mirabell Gardens, Nonnberg Abbey, Schloss Leopoldskron and Hellbrunn Palace. Trivia: Bicycle tours push through, rain or shine. The friendly tour guides will provide rain gear in case you didn’t bring a raincoat. Plus, Salzburg is one of the most cyclist-friendly cities in Austria! Would you believe that the real house of the von Trapp family was made into a sweet bed and breakfast to accommodate tourists? Well, it was, and it’s called Villa Trapp. The owners keep the rooms closely resembling how the original residents left it so that guests will experience the essence of that time in every detail. On the other hand, the Salzburg Hof hotel features a whole floor of themed rooms, framed photos of behind-the-scenes, and lyric-decorated walls. The most important hotel to see? Schloss Leopoldskron! This hotel served as the von Trapp house in the film where you get to see the rear view and terrace of the family’s “house”, as well as the outdoor garden where the lake scenes were shot. Book a stay here and it’ll almost feel like you’re living in the movie. “Let’s start from the very beginning. 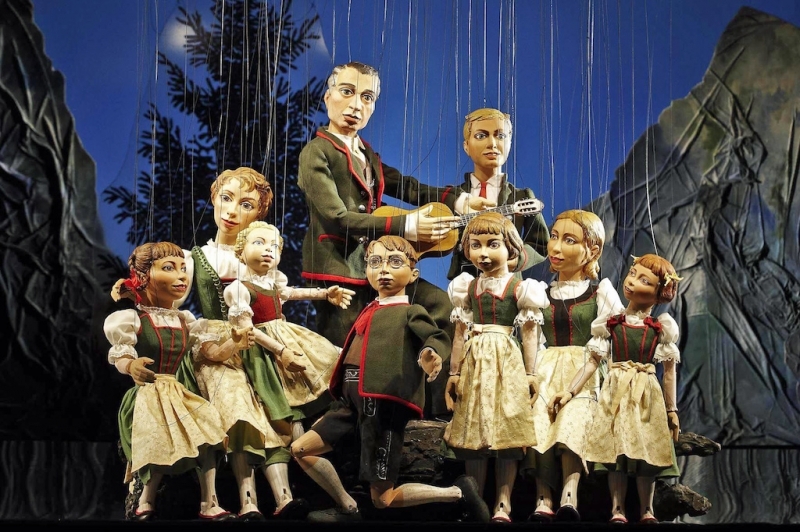 A very good place to start!” And if you want to hear the rest of “Do-Re-Mi” performed live, purchasing a ticket in the Salzburg Marionette Theatre to watch The Sound of Music would be a great idea. But as you can tell by the theatre name, this isn’t like any normal musical, it’s a whole production performed by marionettes instead of actors! It’s a cute, fun and memorable family experience that is sure to put a smile on your children’s faces (and yours). So don’t be too much of a traditionalist and give these entertaining marionettes a chance! “Daffodils, green meadows, skies full of stars, raindrops on roses and whiskers on kittens,” was Maria’s preamble to the song “MyFavourite Things”. 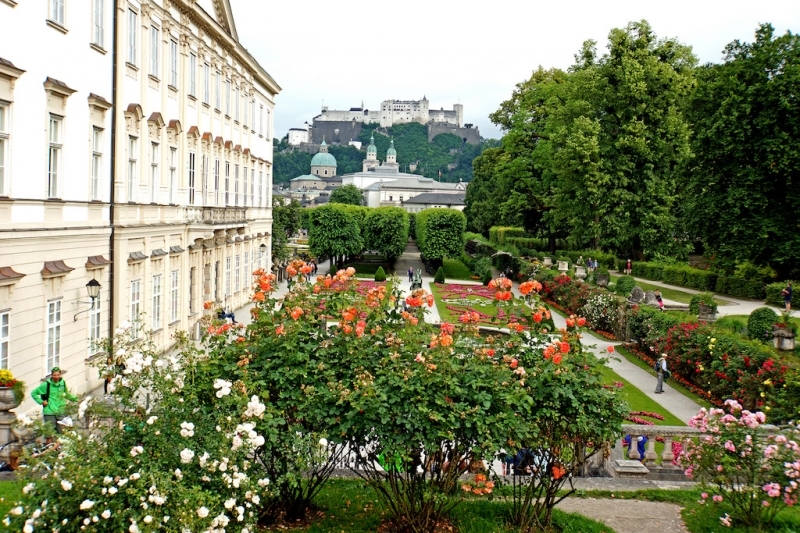 And it’s no surprise, since flowers and green meadows abound in Salzburg, making it a harmonious and nature-loving city despite its baroque foundations. It’s a striking contrast indeed, especially when you consider how the baroque city is surrounded by three big mountains: Mönchsberg, Festungsberg, and Kapuzinerberg. All three of them provide Instagram-worthy views from where they stand. Snap panoramas of Salzburg from Mönchsberg and Festungsber, then get a clear view of the Old Town and Salzach River from Kapuzinerberg. If you’re lucky, you may even get to see Bavaria in the distance. Take as many photos as you want as you stroll through the woodland and meadows of these therapeutic natural wonders. Salzburg City itself also owns 165 hectares worth of forested land. Take it from us, go all-out-tourist and drink water from the tap, breathe in the fresh air, and understand exactly what it means to have an au naturel environment. Salzburg’s baroque architecture started 400 years ago and took plenty of its cues from Rome, hence the nickname Rome of the North. The story goes that when Salzburg had become extremely wealthy from its trade with salt, gold, and raw materials, the prince archbishops began to transform the city to a baroque realm as they were greatly taken by the similar grandeur of Rome. Today, tourists can explore enchanting old-world palaces such as the Mirabell Palace, Leopoldskron Palace, and Klessheim Palace. 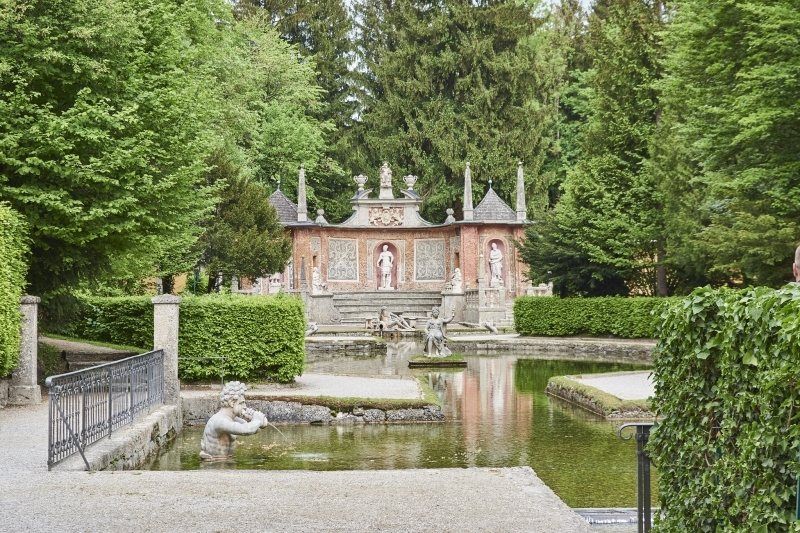 And true to its nature, Salzburg did not forget to include lush gardens to these palaces, the most famous being the Mirabell Garden and Dwarves Garden where you can spend pleasant afternoons getting lost and enjoying the cool breeze from trees and meadows. 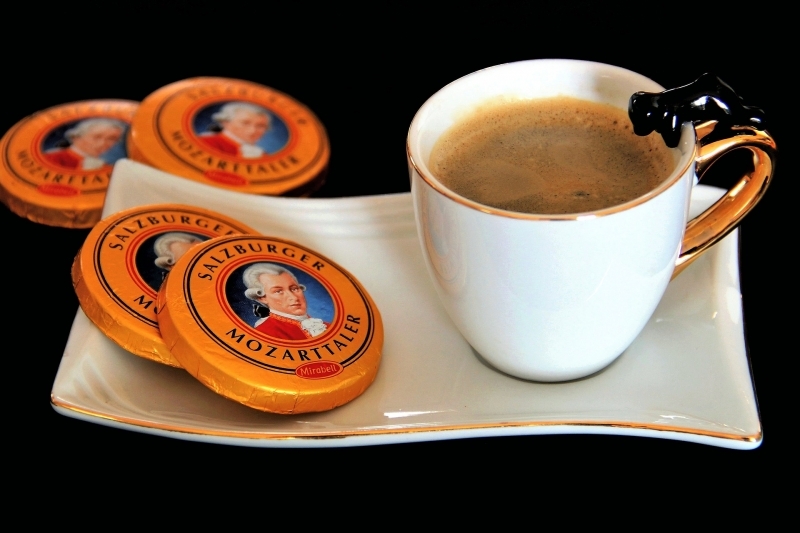 All of us have heard of Salzburg’s most famous son, Wolfgang Amadeus Mozart. Being in Salzburg itself already immerses you in everything Mozart, from souvenirs, cafes, to the music in the streets. But even though you’re familiar with his compositions like Requiem and The Magic Flute, there’s more to know about this musical genius. He was born in Salzburg at No. 9 Getreidegasse, which has become one of the top tourist locations in the city. After 26 years, his family then moved to what is now called the Mozart Residence on Markatplatz. Tourists can trace Mozart’s footsteps from his childhood, visit his houses, and even see the instruments he used, when they go on the Mozart City Tour. An expert guide will tell you about the details of Mozart’s life and important milestones which eventually made him the famous composer that we know today. The tour will also include the Mozarteum, palaces, and a walk around Salzburg’s most famous shopping street Getreidegasse. The Salzburg Card won’t only be a traveller’s favourite thing in the city, but it’ll be their best friend. It gives tourists free admission to both commercial attractions and public transportation. Depending on the kind of package you avail of, the card is valid for 24, 48 and 72 hours. The price ranges from €12 to €19 for children and €25 to €28 for adults. Learn more and buy your Salzburg Card here. 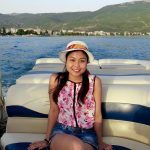 From Singapore, the fastest and most ideal route you can take going to Salzburg, Austria is to fly with Singapore Airlines or Lufthansa. It’s approximately a 16-hour travel time with a stopover in Frankfurt. On the other hand, you may also fly with Turkish Airlines. Travel time is approximately 17-hours with a stopover in Istanbul. For more information, please visit Salzburg Tourism Board’s official website and Facebook page. Brought to you by Austrian National Tourist Office (ANTO) and Salzburg Tourism Board.